IARJSET archive is an accumulation of scientific research papers for lifetime. All papers must have a data archiving statement and data sources must be cited in the reference list. Citation of datasets is permitted, provided the data repository meets the standards set out in our Data Archiving policy. IARJSET is also archiving published research articles in Crossref, Google Scholar to ensure long-term availability. IARJSET is having lifetime membership with Crossref research agency in the name of Tejass Publisheers. The Crossref webDepsit forms are allowing to enter metadata and register DOIs. IARJSET doi is 10.17148. Format corrections, such as misalignment in block diagrams, entity flows, replacing a low-resolution image, table labels and similar minor changes not involving scientific content, can be made at the prudence of IARJSET, without any kind of formal notification. Errata: An error introduced by the author publisher that affects the integrity of the article, the reputation of the authors or reputation of IARJSET. Complaints about editorial matters, plagiarism related, appending a author, removal of author, conflicts between author and co-authors and breaching research standards that are sent to Editor-in-Chief – IARJSET, to the corresponding editors, reviewers, technical associates. Simultaneously the acknowledgment will be sent to the respective author within a day. The complaint will be resolved within three to seven days depends on the nature of queries or grievances. IARJSET are charging lowest fee for research publication. 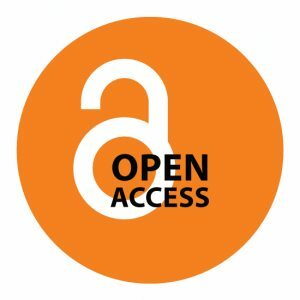 This Article Processing Charge (APC) comprising “article production and hosting, abstracting and indexing services, providing online tools for editors and authors”. The fee is payable ‘when your manuscript is editorially accepted and before publication’ from you / your funding agency / institution / organization. The published manuscript will be withdrawn by both entity (author or publisher). Authors is owing to erroneous results / conclusions. Each authors of a paper have to sign a retraction request as per IARJSET retraction policy. In other case, if manuscript violates or against IARJSET publication ethical standards (replicating, plagiarism, exploiting forgery datum’s..) then it will be removed from the repository without any notification. IARJSET subscription is applicable for Print Journals only. Online access is free for lifetime for any personal, Institution or Industry. It will be considered for after the receipt of payment for 6 months or 1 year. The revised subscription rates will be intimated by an e-mail for every year between November to December or as per existing subscriptions period of institutions or industries.